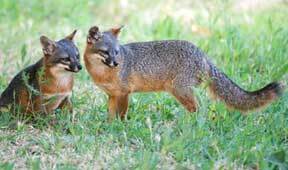 Biologist Tim Coonan from Channel Islands National Park believes that the San Miguel Island fox population may have recovered to its pre-decline levels. This would be fantastic news and a tribute to all of the National Park employees, government agencies, public and private institutions and local citizens that worked so hard to save this critically endangered mammal. 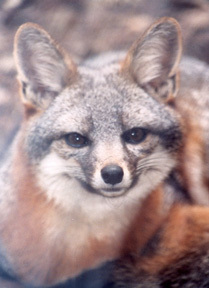 In 2000, only 15 island foxes remained on San Miguel Island. More on San Miguel. The journey to reestablishing that population to over 400 individuals is now documented in a new book written by the biologists who were in the field saving the island fox. The book provides a scholarly account of island fox biology, the crisis that caused the island fox population to plummet on four separate islands and the actions that were taken to save this rare species from extinction. It looks at the ecological impact on the islands when the island fox population was crashing and the role that public education plays in conservation efforts. The recovery of the endangered island fox is a conservation success story and a model for other threatened plants and animals. Friends of the Island Fox celebrates the publication of this important book with our friends Tim Coonan, Catherin Schwemm and Dave Garcelon. Tim was instrumental in conveying the need for an education organization to Friends of the Island Fox founder Pat Meyer, Cathy served on our Board of Directors for four years, and Dave has frequently been a valued source for information. When is a cute raccoon a serious threat? When it is mistakenly transported to the Channel Islands. The masked face of a raccoon makes us sigh and their antics can make us laugh, but raccoons pose a serious threat to native wildlife on the Channel Islands. Raccoons are not native to our California islands. Species like the island fox, spotted skunk and island birds have all evolved without raccoons and without the diseases and parasites that raccoons can carry. Recent research has pointed to a raccoon as the origin of the distemper virus that nearly wiped out the island fox population on Santa Catalina Island between 1998-2000. 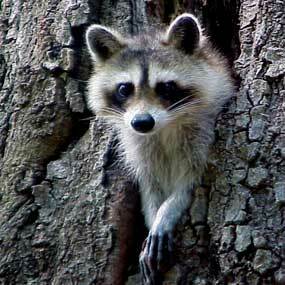 Raccoons carry many diseases, like rabies, parvo and distemper, that are fatal to canines. The introduction of a single disease-infected raccoon could have drastic consequences for endangered island foxes and other unique island species. Support vaccinations. How does a raccoon get all the way from Los Angeles or Santa Barbara to the Channel Islands? In the past few years, raccoon populations have grown in harbor areas. This means that occasionally they wander onto private boats. Unsuspecting boat owners may have a stowaway raccoon that they unknowingly transport to the islands. While this scenario may seem unbelievable, it has happened on Catalina Island several times in the last two years. Because Catalina is fairly populated and Avalon is the primary port of entry, the Catalina Island Conservancy has been alerted to the arrival of these raccoons. Usually the animal is caught within a short window of time, but one raccoon traveled to the interior of the island in just three days. A raccoon accidentally introduced to Channel Islands National Park might go undetected for sometime, potentially coming in contact with numerous island animals. Friends of the Island Fox urges all boat owners traveling to any of the Channel Islands to make sure there are no stowaway animals on your boat before leaving the harbor. Pass this information on to friends and family that may be boaters along the southern California coast. 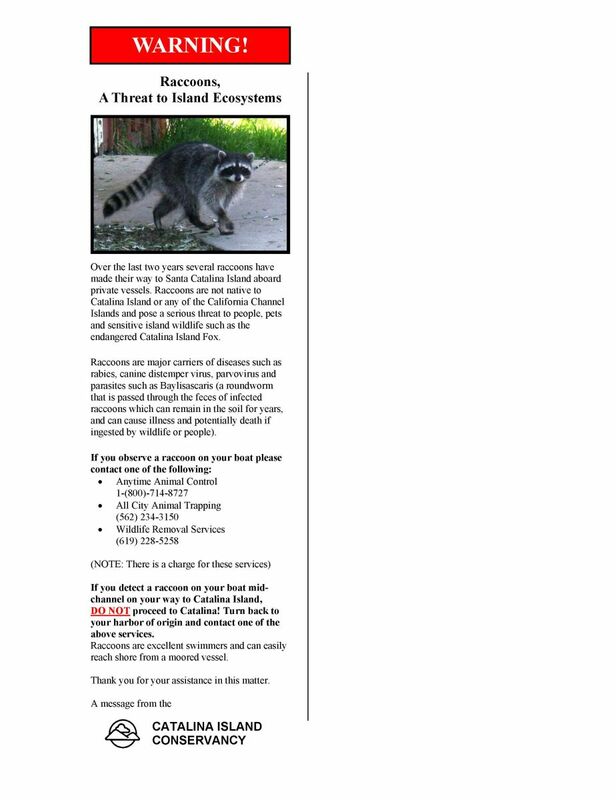 Download the following Raccoon Awareness Flyer from the Catalina Island Conservancy and PASS IT ON. Public awareness can make the difference between survival and extinction for the endangered Channel Island fox.